This comprehensive guide for management professionals discusses the IT-related legal issues faced by businesses on a daily basis. 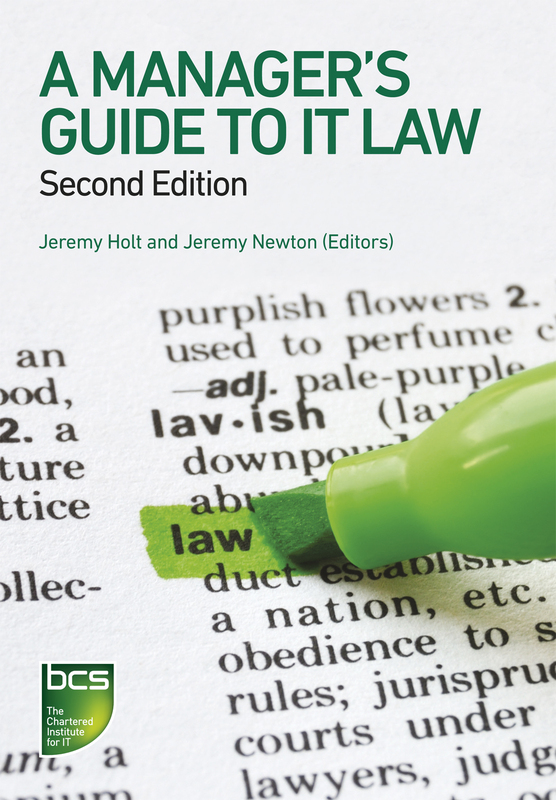 Legal concepts and terminology are notoriously difficult for non-specialists, but this book explains in plain English the relevant legal frameworks and gives examples from actual case law. “provides practical advice . . . a valuable addition to my bookshelf” (British Journal of Healthcare Computing & Information Management - relates to the 1st edition). Jeremy Holt is the head of the Computer Law Group of Clark Holt Commercial Solicitors. Jeremy Newton is a director at Technology Law Alliance in London, a law firm specialising in IT, outsourcing and e-commerce law. My expectations of this book were high and have not been disappointed at all - it is very relevant and, like the earlier volume, is packed with information that we as IT professionals need [...] This is a great book to have in the office to act as a checklist for IT managers, or even for commercial contract specialists who may not appreciate the full range of issues that needs to be covered in a new supplier agreement.